Spring is just a few days away!! 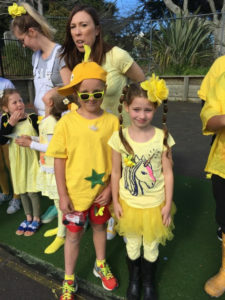 Last Friday was Daffodil Day, we enjoyed the colour, the warmth and the fun we had whilst raising awareness for the Cancer Society. 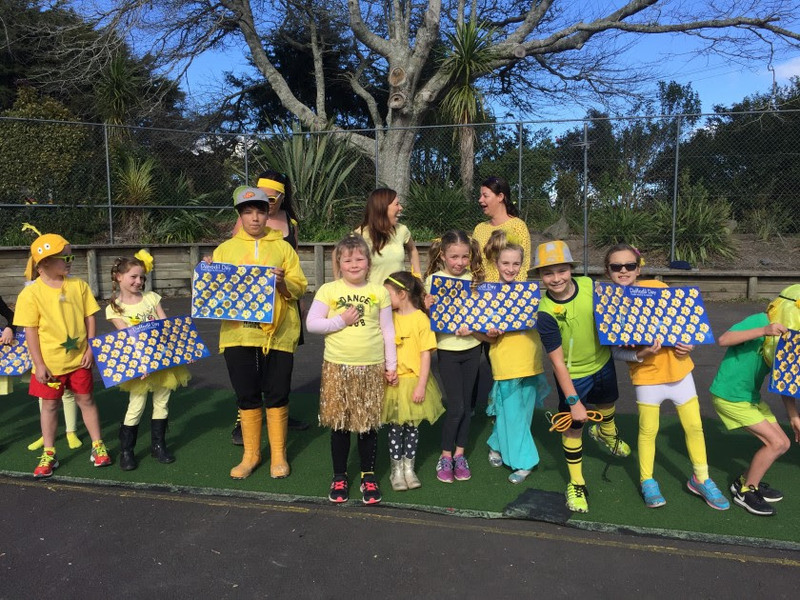 Thank you to Katie Wicks, Jessie Brothers and McKenzie Suckling for organising and leading our Daffodil morning, we raised $402.00!! 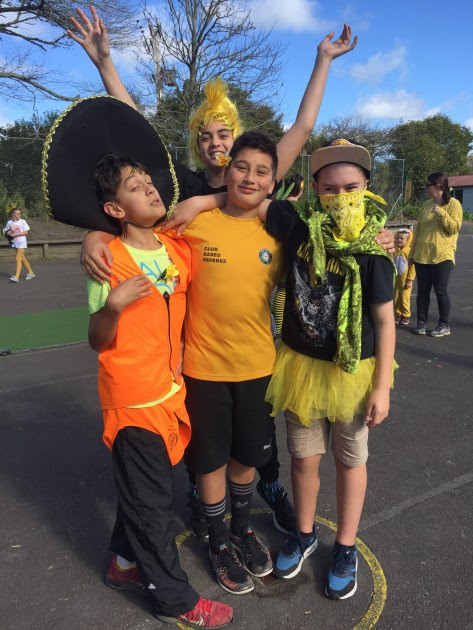 Technology Challenge – Year 7&8 teams competed in a Technology Challenge at Orewa College against a number of intermediates from around the district. They participated in a number of problem solving challenges using a range of unusual materials. 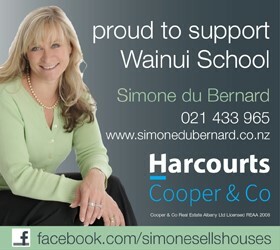 All the children had a fantastic day and represented Wainui School proudly. Bike Track – Is now up and running, we have a timetable in place to ensure each class gets a fair go at riding the bikes in these early days. We have also created “SBR”s – Special Bike Riders that can ride if they are chosen each day. The Year 8 Bike Team are doing a great job arranging the shed, keeping the bikes clean and maintained and helping all the children ride, fit a bike and wear a helmet. We have bikes for adults as well so come down and have a go at lunchtime, you can also spot the odd teacher and principal on a bike!! Master Chef Yr 1/2 Finals – These were held on Monday!! 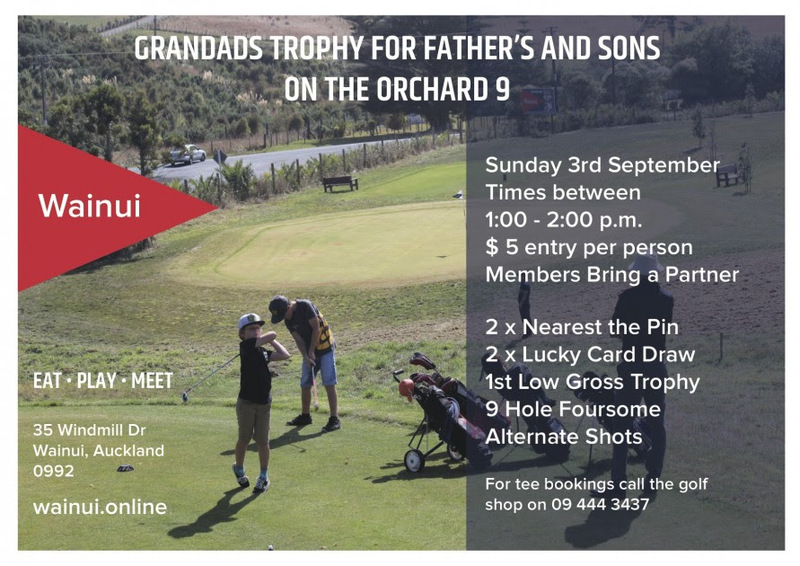 This wonderful competition has been organised by Haruka Seino, Neve Roe and Zac Browne Hale. All the contestants have had a fabulous competition. The overall winners were Emily Coupe and Sophie Colquhoun. 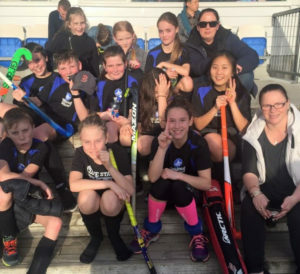 Hockey and Netball – All finals are being played over the next week or so. Enjoy the last games, I have been hearing about so many great challenges, sportsmanship and fun being had. Well done to all the players and coaches for the season. Inter school Cross Country – 30 year 5-8 students are competing at the annual interschool Cross Country at Shakespear Park. We wish them a fine day, lots of energy for the hills and to give it their best. Trips – The Pukeko team are off to the Zoo this week, to discover and inquiry about animals. Kiwi team are off to the Stardome to inquire and explore the world beyond. It will be very quiet at school on Wednesday. 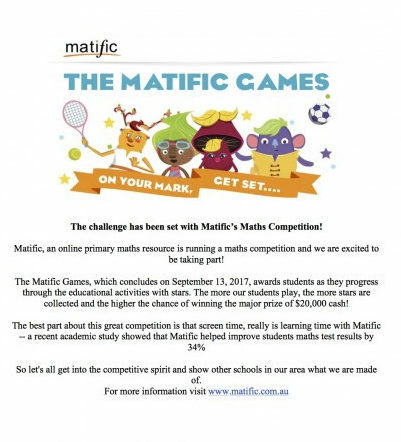 Matific Competition – The countdown is on for our students to be part of the Matific Competition. It begins on Thursday 31st August and ends on Wednesday 13th September. As our school is already subscribed to Matific, our students are automatically included in the competition. Please see the flyer below. 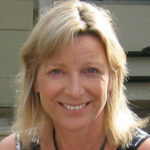 Triv Night this weekend – Thank you to the FOWS group who are busy organising the annual event. It is not too late to purchase a ticket and join in the fun. The Digital Curriculum – The draft digital curriculum has been released by the MOE. Mrs Taylor and I attended one of the MOE Consultation meetings. The digital curriculum will be compulsory in 2018. 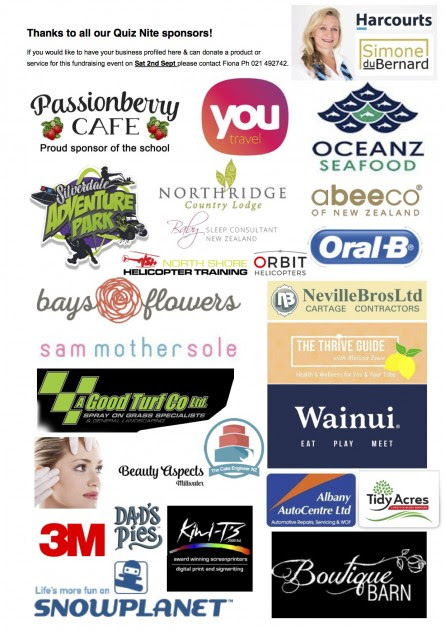 Rest assured at Wainui we are preparing, we already have robotics, coding and bee bots being used. There will need to be more development once we know exactly what the curriculum entails, time frames and how it will integrate into the curriculum we have now. The Community of Learning is exploring this as well and will make this very much a part of the beginning of 2018 professional focus and development. We have already set the start dates for 2018, these are based around the Community of Learning mini conference day the teachers will all attend. This will be on the Tuesday 30th January 2018, the actual start date for children will be Thursday 1st February. Quiz Trivia Nite – Last Chance to get your tickets this week! 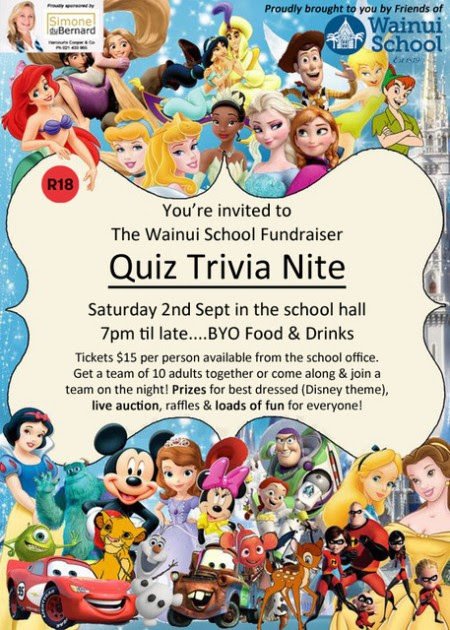 Come along to our annual quiz night fundraiser in the school hall this Saturday 2nd September at 7pm. 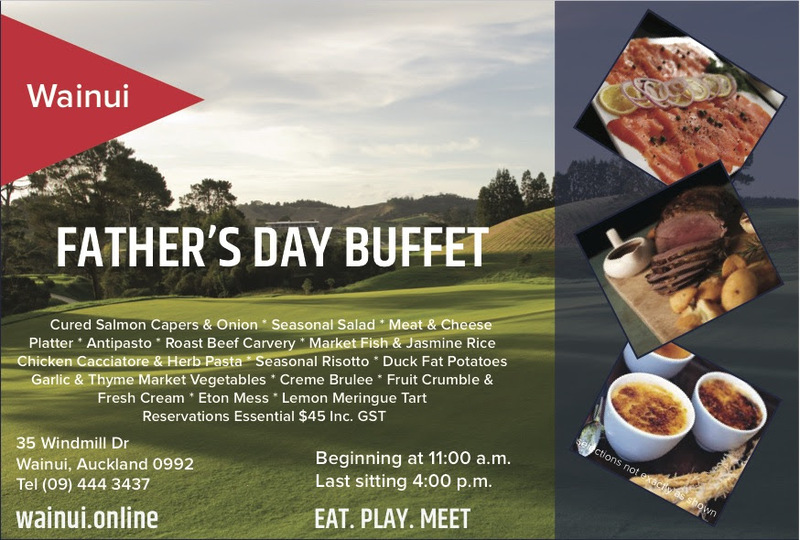 Tickets just $15 each, get a team together of parents from your kids class or simply come along and join a socialite table on the night! Great fun for everyone whilst raising funds for the school! FOWS Meeting – Thanks to everyone that came to the last meeting, it’s always great to see some new faces. Our next FOWS meeting is next Wednesday the 6th September at 7pm in the staffroom. 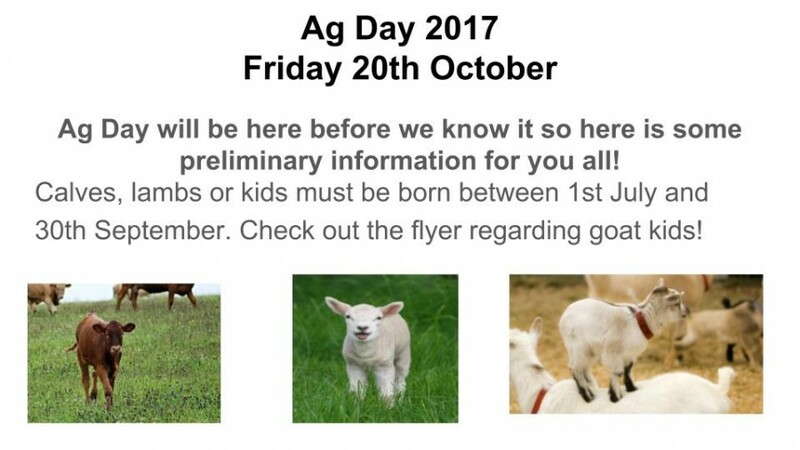 We will be talking about Ag day and Quiz Night so please come along and join us. Wainui 3 vs Silverdale. Lost 4 – 7. Most Outstanding Player of the Day: Milla Glasgow. Most Improved Player of the Day: Eliza Dunning. Wainui Yr 4 vs Stella Maris Yr 4. Won 9 – 6. POD: Corey Suckling and Te Pourewa Hape-Webby. Wainui 7/1 vs Waiheke Dolphins 7/1. Won 28 – 26. POD: The whole team!! Wainui Yr 3/4 vs Coatesville Boys. Draw 1 – 1. Wainui 7/8 vs Rosini. Won 8 – 1. POD: Amy Riddle. Wainui 7/8 vs Kristen. Won 8 – 0. POD: Bojan Paladin. Wainui 7/8 vs Orewa. Won 7 – 4. POD: Amy Riddle. Congratulations to the following players, who were amongst 90 players who tried out for the U13 Rep trials, and made into the North Harbour U13 Rep Programme. Well done to all! U13 Boys – Bojan Paladin. U13 Girls – Jordan Davies, Lucy Elliot, Haruka Seino and Rita Straka. 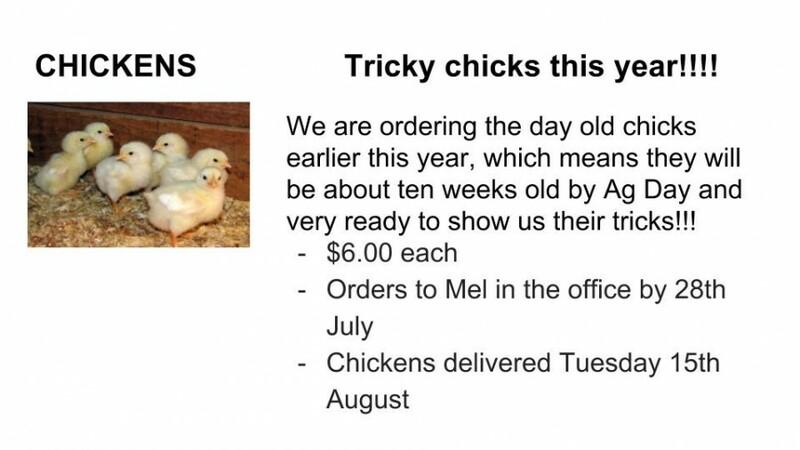 Wednesday 30th August – Yr 1/2 Zoo Trip. Wednesday 30th August – Yr 3/4 Stardome Trip. Thursday 31st August – Interschool Cross Country. 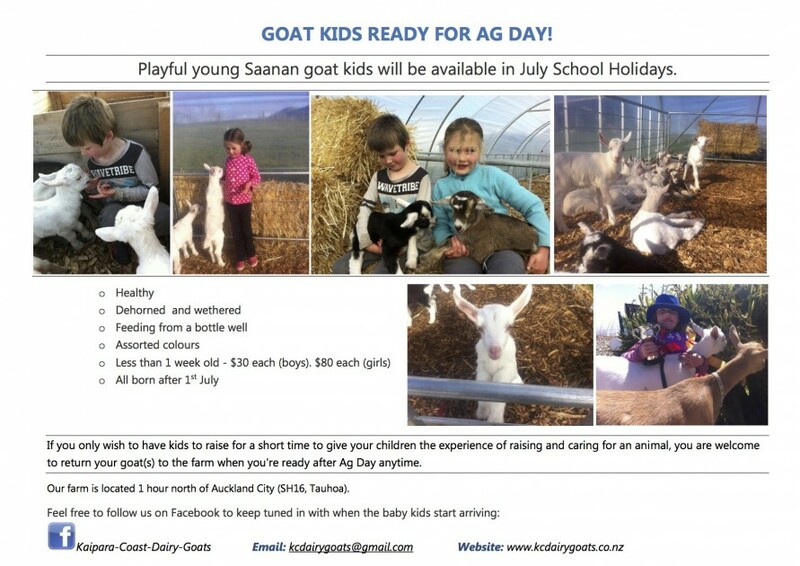 Friday 1st September – Takahe Assembly – 2pm. Saturday 2nd September – Triv Night. Wednesday 6th September – FOWs Meeting – 7pm. Monday 11th September – Yr7/8 Information Evening – 6.30pm – 7.30pm. Hibiscus Coast Summer Footy is coming in Term 4! Get your teams together because Hibiscus Coast AFC is running the hugely popular Summer Footy season again from Monday the 16th of October for 8 weeks at Stanmore Bay Reserve from 4.00pm to 7.00pm each Monday. Summer Footy is for school friends to enjoy playing football in a social, FUN and non-competitive environment and a great opportunity to get out and enjoy the long evenings on beautiful Stanmore Bay. Teams are traditionally made up of classmates from school and organised by parents. This year there are five-a-side competitions for years 1&2 and 3&4 from 4-5pm, and seven-a-side competitions for years 5&6, 7&8 and 9-12 with ‘girls only’ leagues as well from 5-7pm. The cost is $40.00 per player. Entry forms are available at the school office. Email jnrsummerfooty@hbcafc.org.nz if you have any questions.